Finally, I added some sparkle flourishes for a little extra…well…sparkle. 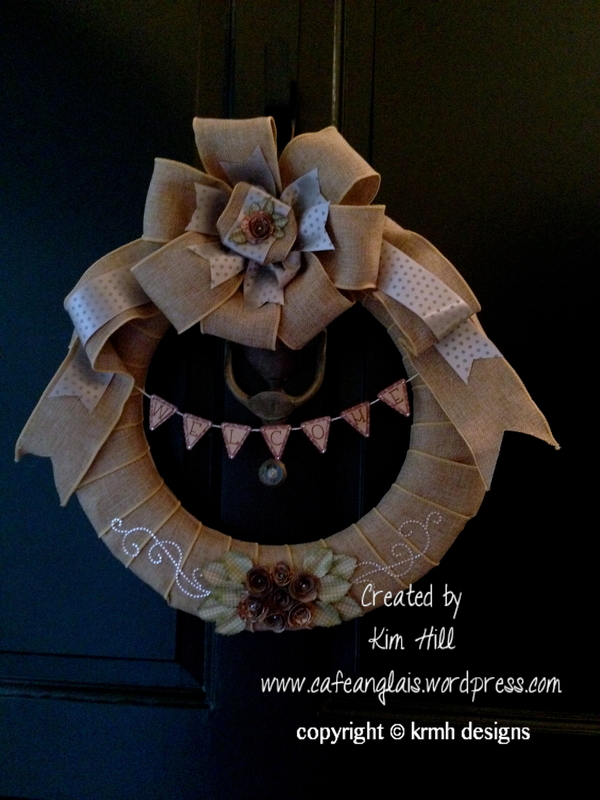 I really like the juxtaposition of the burlap and gems. 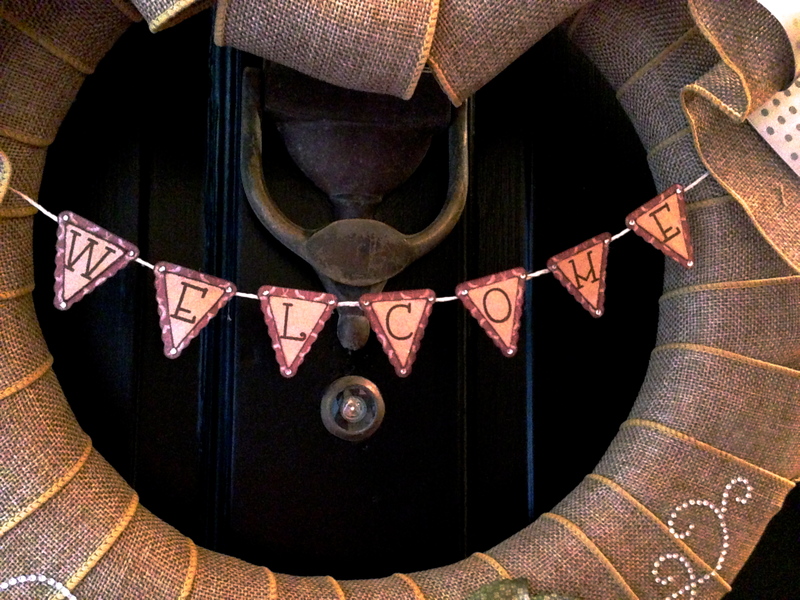 I hope you enjoyed my little welcome banner! 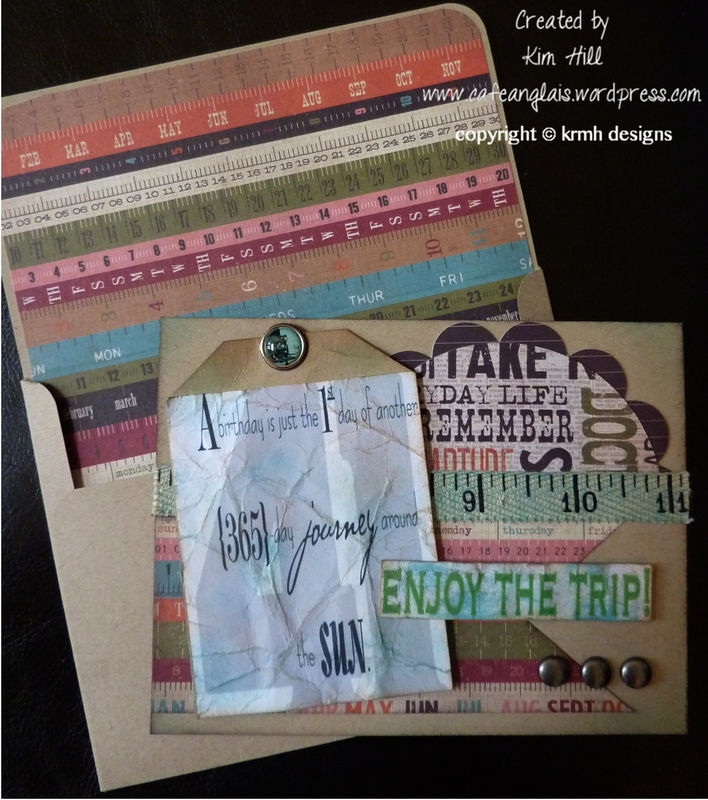 For more inspiration be sure to visit my amazingly talented co-designers at Stuck On U Sketches. Have a great weekend and don’t forget to create something beautiful today! 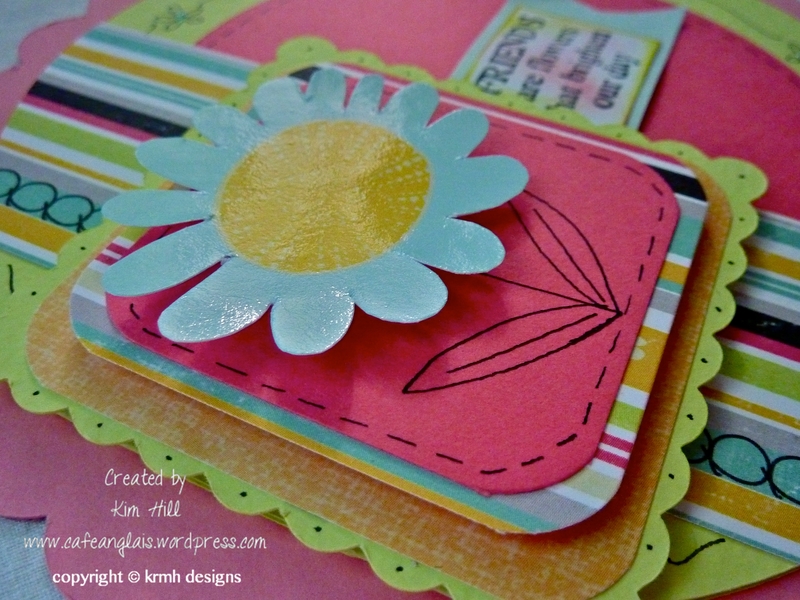 The patterned paper is from the Be You collection by Fancy Pants Designs. (What a fun collection! You can see some other projects I made with it here.) 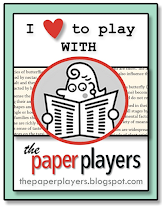 The card was cut using my Cricut and the Art Philosophy Cartridge by Close to My Heart. 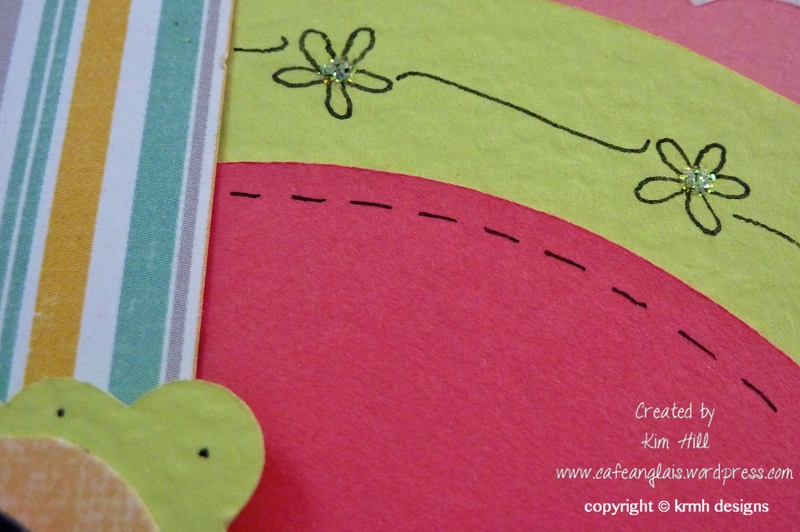 The scallop was cut at 6-inches and the lime green circle card was cut at 5 1/4-inches. 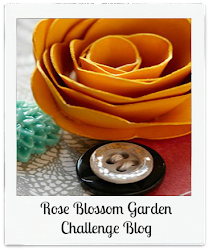 The scalloped square was cut at 2 3/4-inches and each square was cut a 1/4-inch smaller. The flower is from the Be You rub-ons. I doodled a little on the card, and blinged-up the doodle flowers with diamond stickles by Ranger. 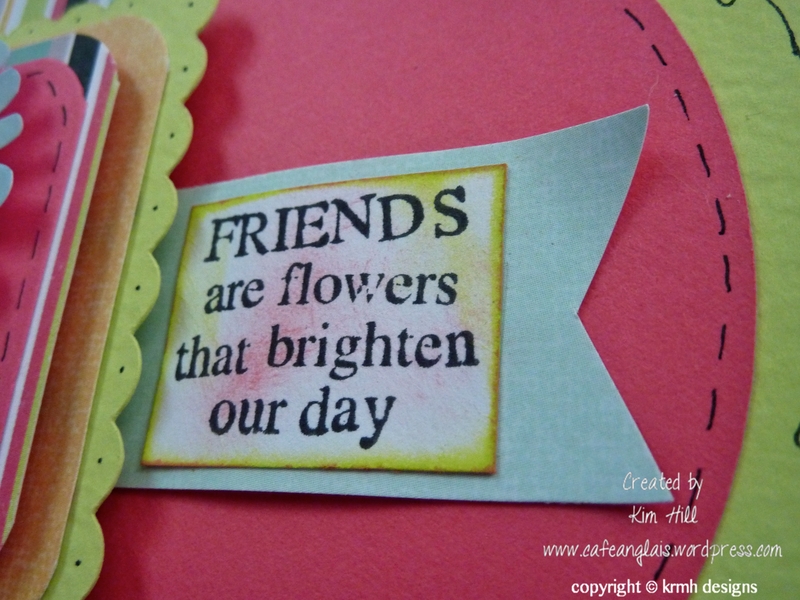 The sentiment is from a stamp set for which I lost the manufacturing info, and the cardstocks are from my stash. Hope you enjoyed a little midweek mojo! Have you given up on me? It’s been far too long since my last post, but I have managed to make some progress on the PhD proposal so that’s my excuse. I just wanted to share a little card I made for my husband’s 41st birthday last week. 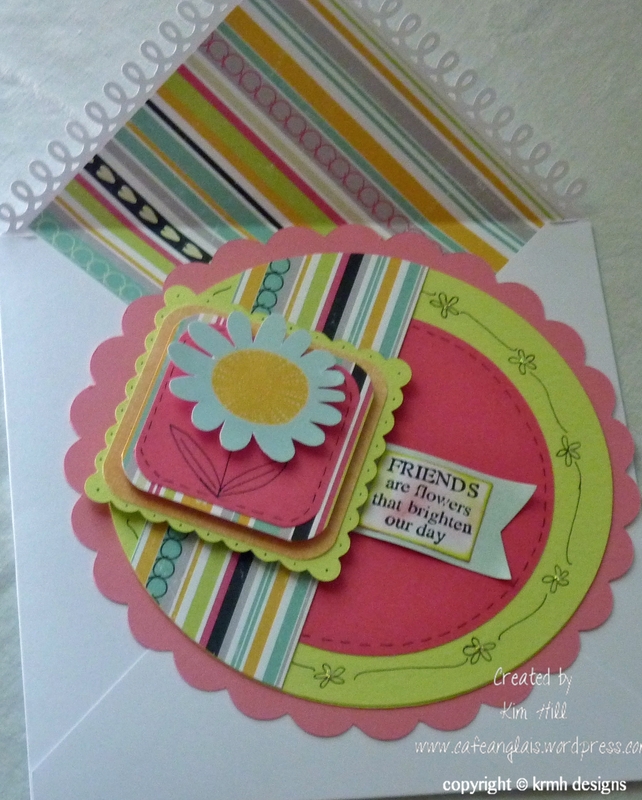 The card and envelope are cut from one sheet of 12×12 craft cardstock. 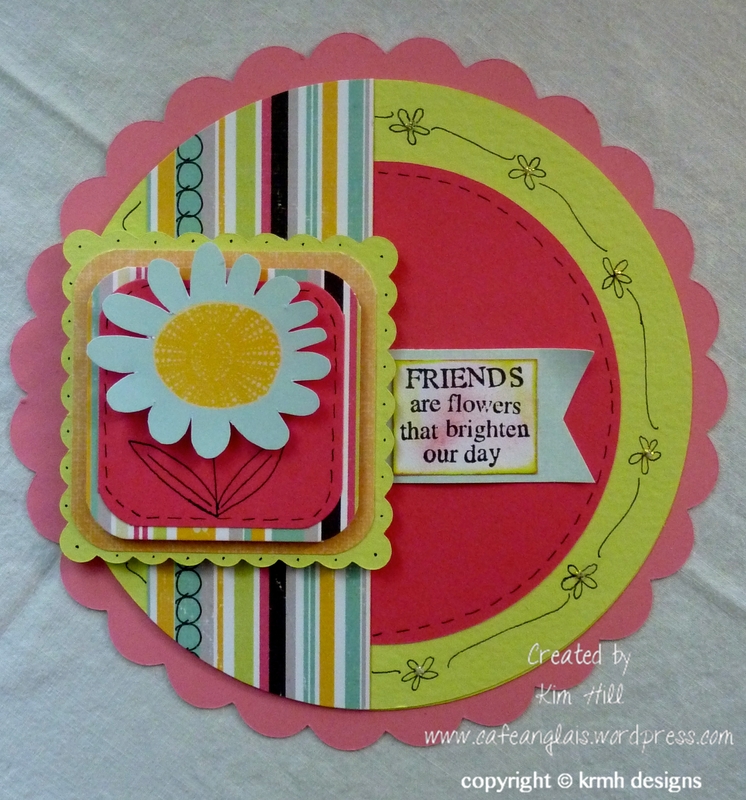 The patterned paper is from the Year-o-graphy collection by Simple Stories. The sentiment is actually a digital embellishment from Creative Memories that I layered over the “41” (from a digital alpha set by CM). The large brad is part of the Vintage Vogue Collection by Pink Paislee and the small brads are by Recollections. The tape measure ribbon is some from my stash. I inked it with Ranger Ink‘s distress stain in Broken China. The scallop and circle combo in the background is from Close to My Heart‘s Art Philosophy cartridge and cut on the Cricut at 3.25 inches. Hope you enjoy! I have a few more projects that I’ll upload in the next couple of days. 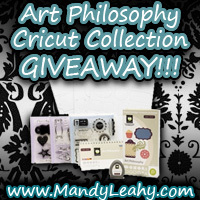 Mandy Leahy over at My Passion For Scrapbooking is giving away the Art Philosophy Cricut Cartridge by Close To My Heart and Provo Craft. To enter, click here. This is an incredibly versatile cartridge. I would LOVE to have it myself. However, I just can’t keep the goodness for myself, so thought I’d pass it along.